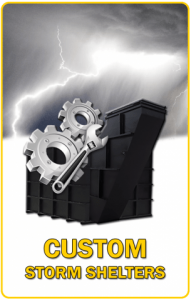 RSC builds the best solid steel storm shelters money can buy. Our commercial applications are custom designed to meet or exceed all your expectations. 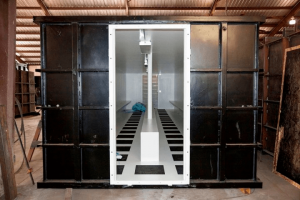 RSC builds the strongest tornado shelters on the market. 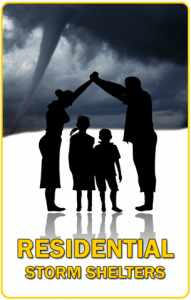 We have been keeping families safe in the storm for many years. No one beats our product or our prices; No One! We customize our shelters to meet or exceed all your expectations. Personalized floor plans, handicap accessible entries, TV’s, toilets, and more! You want it, we’ll build it! 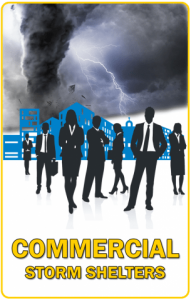 Building quality storm shelters for commercial and residential use. 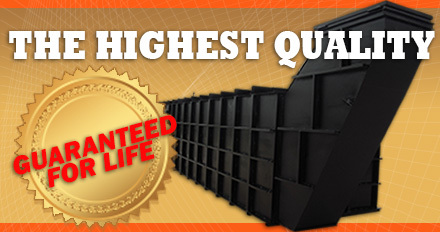 RSC truly builds the best tornado shelters available. With more than a decade of experience building underground shelters; RSC has a resume’ you can trust and rely on. Our shelters are built for quality in every aspect of the fabrication. We engineer our storm shelters out of steel because it produces the best end product, not because it’s cheaper or easier. Using steel is more difficult and more costly than alternative materials but our focus is protecting lives. Cutting corners for the sake of increasing our profit margin is out of the question. 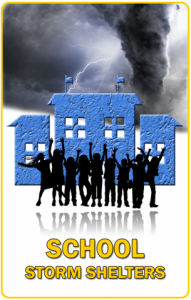 There are standards and guidelines for the construction of tornado storm shelters. These are outlined by FEMA as well as the American Society of Civil Engineers documentation for wind loads on structures guidelines. You can read these for yourself by going to: 320 & 361 guidelines as well as the 2008 standards from ICC500/FEMA. Rising S tornado shelters exceed every FEMA requirement set fourth in the link above. Our storm shelter’s specially engineered design uses quarter inch carbon plate steel for the walls, floor and roof. (approximately 2 times thicker than the federal guidelines suggest) This increased material thickness translates directly into added strength and extended performance. 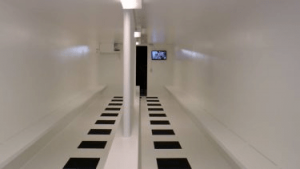 The photos below are examples of underground tornado shelters and are available in every configuration and size. Whether it’s small 4×8 residential shelters or a 20×60 high capacity super school super shelter, we have a plan and price that will fit your needs and budget. In a state that can get anywhere from 50-100 tornadoes a year, the likelihood of being caught in a tornado is great. It’s imperative that you implement the right plan with the highest quality with the most cost effective strategies to ensure the safety of everyone in the shelter. In addition to building the highest quality shelters available; Our pricing is extremely competitive and we do not sacrifice quality for our bottom dollar. The quality of our work is unmatched and we never compromise quality. Simply put, we are the leaders in the field because all our all steel storm shelters exceed industry standards for quality, durability and craftsmanship. 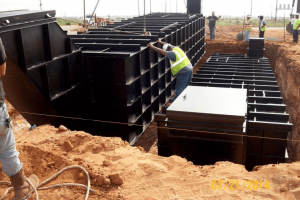 There are numerous shelter options available on today’s market but they all fall into 1 of 2 categories… underground solutions and above-ground solutions. 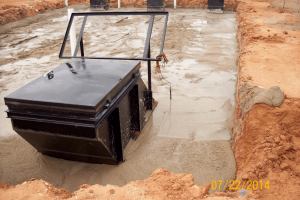 Although the engineering involved with above-ground shelters has improved greatly, above-ground designs still run a distant second when compared to an underground shelter solution. The ugly truth about tornadoes comes in the form of damage statistics, and those statistics all echo the same thing. They show that the majority of damage caused in a tornado is caused by wind borne objects. From random loose debris to large objects such as vehicles, tractors, trains and buses; everything can potentially become a virtual torpedo in a tornado. There is truly no limit to what the high winds of a EF5 tornado can hurl at you. In light of those statistics, there is no denying that even the best engineering and strongest materials will still have major vulnerabilities when pummeled by a wind borne objects in a severe tornado. The ONLY real solution in shelter engineering is to be underground thus being completely insulated from wind borne objects. So, while engineering is getting better and shelters are getting stronger, anything above ground is still highly vulnerable. Nothing beats and underground shelter and we build the biggest and best underground shelters on the market. 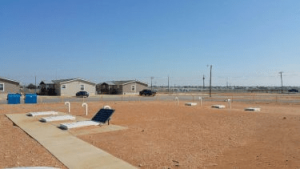 WHY ARE STEEL STORM SHELTERS SUPERIOR TO THE REST? There are lots of underground shelters available today but make no mistake, they aren’t all built to last. RSC steel shelters acclimate to the temperature of the ground by expanding and contracting slightly. The flexible nature of steel makes it the perfect material to build underground structures from. Our steel storm shelters are coated with rubberized coating which stops corrosion and guaranteeing the shelter will last for generations. 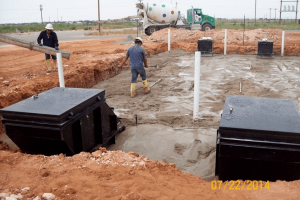 With our steel storm shelters, there is no worrying about typical issues like corrosion, cracks, mold, moisture or collapses due to exposure to the weather and earth. Additionally, unlike traditional concrete shelters. RSC shelters are installed completely below the earth’s surface so there isn’t an unsightly 3 foot hill in your yard. It’s undeniable; our shelters are the SAFEST option in a tornado or extreme weather.